It's a legal agreement made by a couple before they wed detailing the ownership of their respective assets should the marriage end. Beyond prenups, there are also post-nuptial and co-habitation agreements covering unmarried parents or just unmarried couples in general. In the absence of one of these contracts, the courts will use State law to address all issues involved in a divorce. However, in many cases a couple can greatly benefit from prenuptial, postnuptial, or co-habitation agreements. Making agreements about how property should be divided before marriage can help you avoid expensive and confrontational divorce litigation. 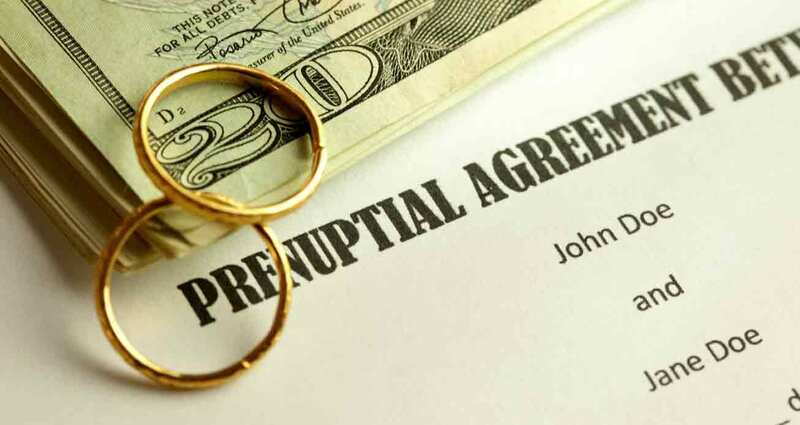 Making agreements about how property should be divided before marriage can not only help you avoid expensive and confrontational divorce litigation, but you can also enter your commitment fully informed up front of what each other’s financial expectations will be going into the marriage or relationship. Goldberg Jones has assisted many clients in reviewing, negotiating, drafting, enforcing, and challenging pre and post nuptial co-habitation agreements. We recognize that the most important consideration in hiring your attorney and drafting your agreement is ensuring the contract is written well enough to be enforced by the courts if/when the time comes. We are aware of the factors a court considers regarding enforcement and keep abreast of new developments in this area of law.